Look for a brick-and-mortar Laoban Dumplings in the next few weeks. Laoban Dumplings come in flavors like cumin lamb, mapo tofu, and ginger chicken. Photo courtesy Laoban Dumplings. 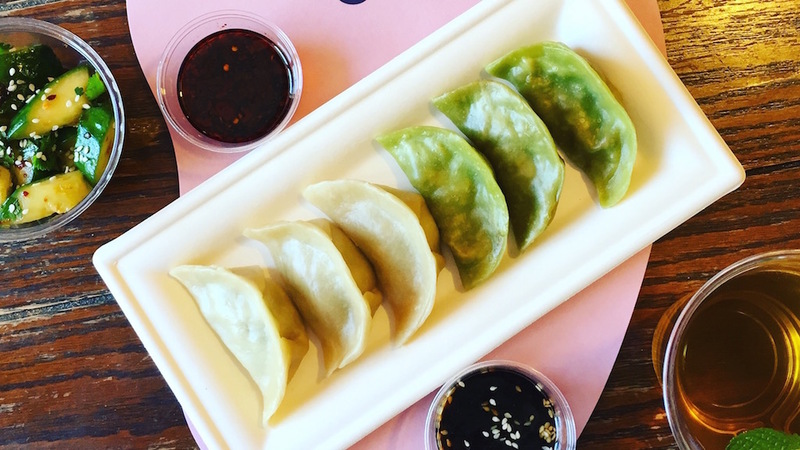 After a string of popular pop-ups at Compass Rose, the Passenger, On Rye, and elsewhere, Laoban Dumplings will open its first storefront in Foggy Bottom in the next few weeks. Patrick Coyne started the dumpling company earlier this year after a career in tech and energy consulting and venture capital. He became particularly enamored with dumplings after a year teaching English in the Hunan province of China. “One of my favorite activities was just going and hanging out in the dumpling shop outside my school,” Coyne says. “Going for lunch, or going for a snack, or going for a dinner and having a bunch of beers—that was always a fun, accessible thing to do. So the idea is to recreate that experience.” Laoban refers to the boss of such a shop. Coyne’s spot will take over a former Bertucci’s grab-and-go counter at 2000 Pennsylvania Ave., NW, not far from George Washington University and the World Bank. “It’s definitely a very humble space, which I kind of like because it’s not totally dissimilar from a dumpling shop in China,” Coyne says. The only seating will be six-to-eight stools along a rail counter. But he hopes to dress it up with some design help from HapstakDemetriou, the firm behind the looks of Rose’s Luxury and Cava Grill. 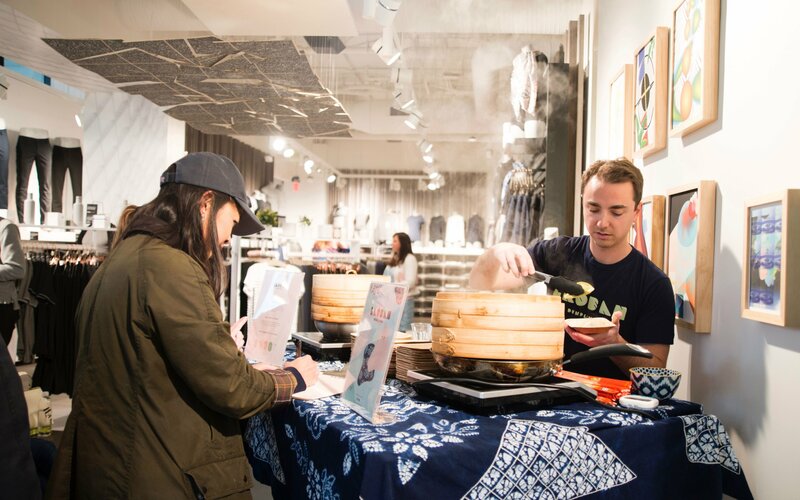 Laoban Dumplings founder Patrick Coyne serves dumplings at one of his pop-ups. Laoban Dumplings will serve steamed dumplings using its housemade dough. Staples include ginger-chicken, five-spice pork, and cumin lamb as well as vegetarian options such as mapo tofu and bok choy-shiitake. For events, Coyne has made even wackier flavors: pastrami dumpling with marble-rye dough at On Rye as well as khachapuri dumplings stuffed with cheese at Compass Rose. 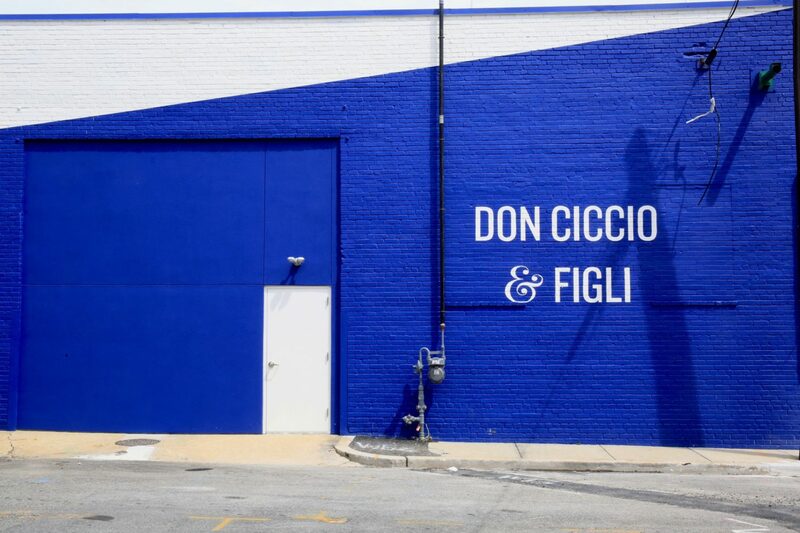 Coyne expects the shop will sell just two rotating flavors to start—one meat and one vegetarian—and eventually expand the menu from there. There will also be a couple of ever-changing salads, whether it’s bok choy slaw or spicy watermelon with mint. Laoban Dumplings will serve a cold-brew mint-green tea as well as fun canned drinks, like a sparkling citrus coffee from Brooklyn called Keepers. Coyne hopes to be open in the next two to four weeks. Laoban Dumplings. 2000 Pennsylvania Ave., NW.